« Bike Polo Shafts by Milwaukee Bicycle Co.
Its gonna be big out here, we’ve got like 36 or so teams lined up, and a second rink rented out. It could be the future large scale tourney for the Southwest. 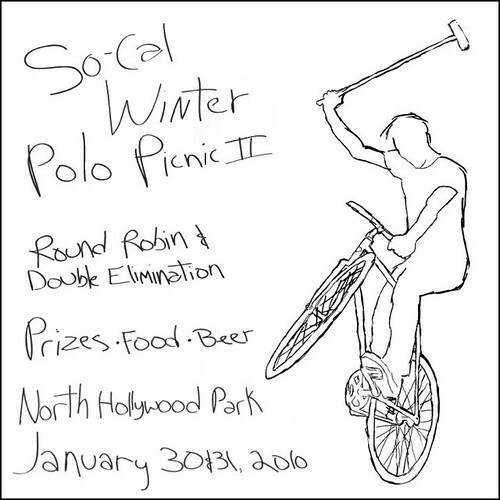 This entry was posted by Doug D on December 29, 2009 at 1:01 pm, and is filled under Bike Polo, California, Events-Past, Past Polo Events, Suggested Topics. Follow any responses to this post through RSS 2.0. You can leave a response or trackback from your own site.